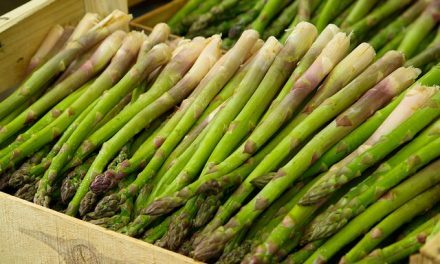 Asparagus is a good source of vitamin K and fiber. 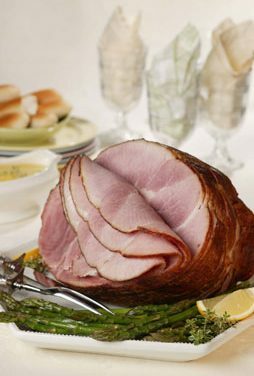 It can be used in salads, soups and can simply be steamed and served as a side dish. 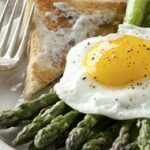 Asparagus contains about 5 grams of carbohydrate per serving and 3 grams of fiber. 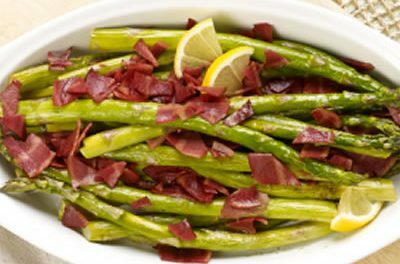 Crisp asparagus, roasted with turkey bacon creates an irresistible side dish for Easter - or any time. 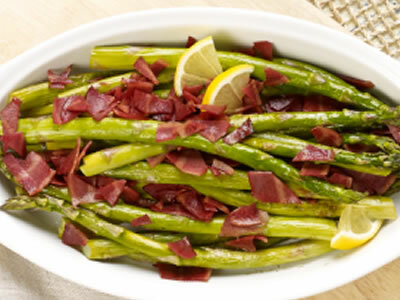 Recipe for Roasted Asparagus with Bacon from our Side Dishes recipe section. 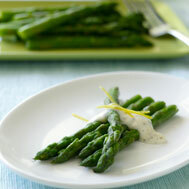 Recipe for Roasted Asparagus with Parmesan Cheese Sauce from our Side Dishes recipe section. 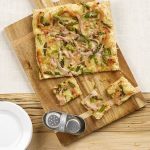 Serving size: 3 ounces cooked beef top loin steak with 2 tablespoons sauce and four spears of asparagus Recipe for Strip Steaks With Broiled Asparagus from our Main Course recipe section. 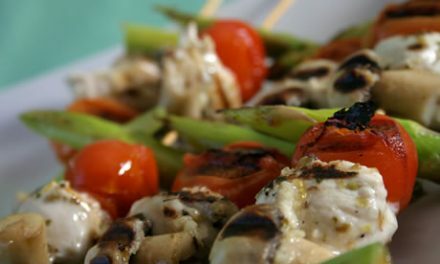 Recipe for Asparagus Spears with Citrus-Ginger Dip from our Side Dishes recipe section. If sun-dried tomatoes need to be softened, soak in hot water to cover, 5 to 10 minutes. 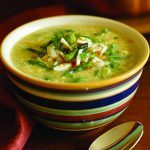 Recipe for Asparagus Polenta Bake from our Main Courses recipe section. 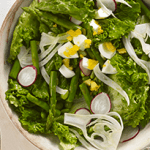 Recipe for Warm Asparagus And Red Pepper Salad from our 55 recipe section.